Just before the school year ended on December 15th I took a group of art and environmental systems students up to the town of Kurunegala (about 2 hours north of Colombo). I planned the trip with my colleague and friend Ranmali Hapugalle who teaches art and photography at OSC. 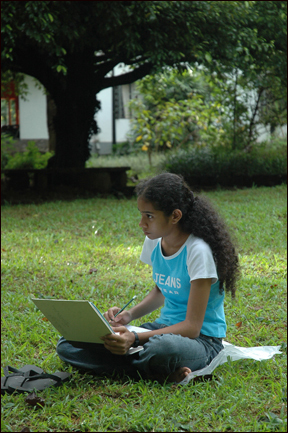 The idea was to have an enjoyable interdisciplinary field trip where the students could make ecosystem observations while being exposed to some of Sri Lanka’s little known architectural and cultural heritage. The trip went very smoothly and the kids were great. A highlight was the visit to the Yapahuwa fort that is another hour or so north of Kurunegala. 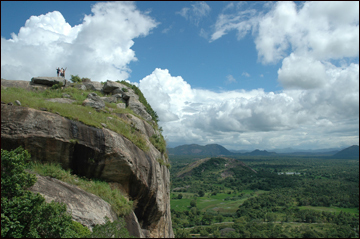 It is somewhat similar to the more famous Sigiriya fort and is best known for its stunning gateway. 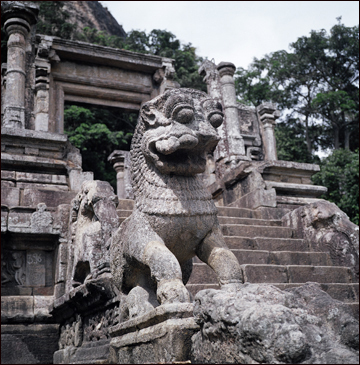 In the 14th Century it was the capital of a Sinhalese kingdom and housed the sacred tooth relic for a few brief years. 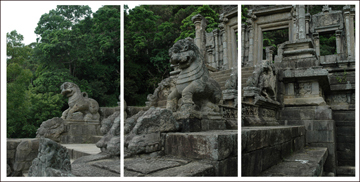 Its carved lions appear on the 10 rupee not and are said to be Chinese inspired. 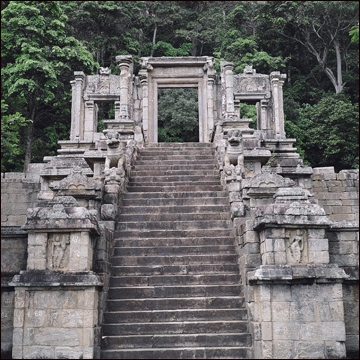 I was amazed to see the similarities to the Chola period temples of south India. We also visited the Arankele forest hermitage. This includes a large undisturbed forest area with serene paths winding though it. It continues to provide a place for Buddhist monks to do walking meditation (what a great idea!). While in Kurunegala we stayed in a Geoffrey Bawa-designed bungalow that belongs to one of Ranmali’s family friends. 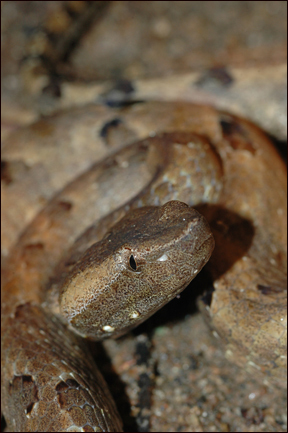 The small house was designed to be a retreat and had a large garden that produced a variety of nice frogs, lizards, spiders, birds and a hump-nosed pit viper (Hypnale hypnale) for us to observe and photograph.